You are being directed to a page on our English language website. Please use the Google Translate button in the top right hand corner to see the page in your language. Please note that this is an automated translation and may not be completely accurate. When companies become aware of output and quality issues with a powder coating extruder, the inclination is to blame machine capability, or product formulation. Poor dispersion of materials within the melt leads to craters or protrusions when sprayed and cured; the commercial implications are severe, and people tend to think the solution complicated and costly. But in around 80% of situations where output has decreased, or where there has been a drop in quality, there is a simple reason: wear. 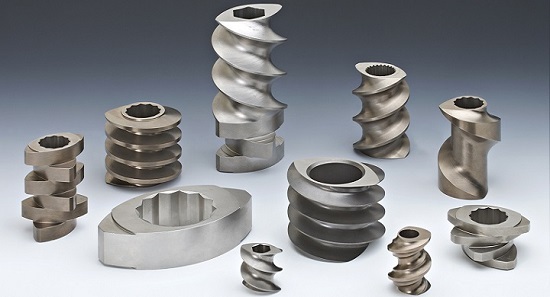 Erosion of the extruder screws and barrel liners will naturally occur over time: the key is to replace them before performance drops. The solution is one phone call to Baker Perkins. We can quickly assess your machine, and recommend which parts need replacing: it is highly likely that only some of the screws and part of the barrel liner might be affected. 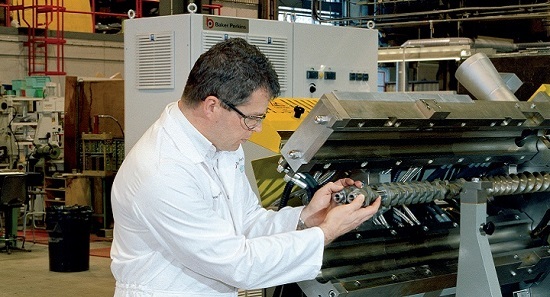 Another possibility is that parts made from materials with higher wear resistance might be needed – perhaps you are using a more abrasive or corrosive formulation than when the extruder was installed. Our parts come in a range of alternative alloys to meet these situations. 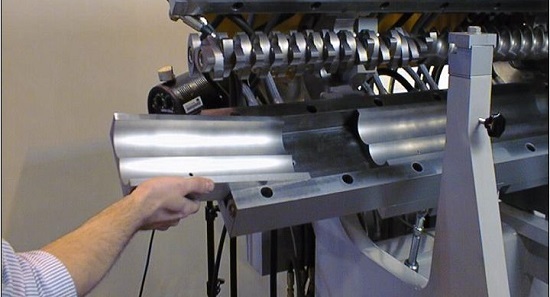 We hold a significant stock of spare parts covering all key extruder functions. Genuine Baker Perkins parts are made to the original specification; they can be fitted without adjustment or modification and provide maximum performance and service life. Baker Perkins’ parts carry a 12-month warranty, with re-assurance of full process and technical support from the Original Equipment Manufacturer. So call Baker Perkins today: our service engineers can save you costly downtime by identifying components that need replacement, before they fail. Not only that; they are also ready to offer process refinement and trouble-shooting advice that will help maximise performance of your extruder for years to come. © 2019 Baker Perkins. All rights Reserved.